Being a new parent is rough, especially when you realize all the stuff you need to buy. Nothing is more daunting than picking a stroller, with some costing upwards of $1,000. But if you're trying to keep a tight budget—who isn't?—you can find a great stroller for less than $100. 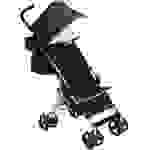 But even if you're on a tight budget, you deserve a truly great stroller. There are over 300 models on the market, and some are definitely better than others. That's where we come in. We've tested dozens of the top strollers on the market, including nearly a dozen models that cost less than $100. Of that group, we think the best is the Kolcraft Cloud Plus (available at Amazon for $59.40). It's lightweight, maneuverable, has more storage space than similar models in this price range, and it folds up and stores nicely when not in use—all for under $70 on sale. But if you have other needs—particularly if you are on the hunt for a model that supports an infant car seat—we've got some other recommendations, too. These are the best strollers we've tested under $100, but you can also check out our guides to the best strollers under $200, the best strollers under $300, and the best strollers overall. The best stroller we've tested under $100 is the Kolcraft Cloud Plus, the winner of our roundup of the best lightweight, umbrella, and travel strollers. In our testing we found it had the best all-around combination of size, build quality, maneuverability, cost, and features. It weighs less than 12 lbs, costs less than $70 on sale, and has features and storage space on par with larger, more expensive models. In the sub-$100 price range you'll mostly find lightweight "umbrella" models that don't offer many features but fold up into a skinny shape (like an umbrella). The Cloud Plus is different, it's more like a lightweight version of a standard stroller. It doesn't get quite as skinny, but I think it's more convenient; it can be folded with a single hand once you get the hang of it, and it will free-stand when folded for easy storage. Beyond that, the Cloud Plus excelled in our real-world testing. My favorite part was how accessible the storage basket was, making it easy to stash bags, blankets, and other gear—most sub-$100 strollers have hardly any storage space at all. I was also impressed by how easy it was to push and maneuver around obstacles, and the fact that you get both a parent tray and a child tray is great for the price—many similar models don't include either. It's not quite as sturdy as the best full-size strollers and it doesn't support infant car seats, but this was easily the best lightweight model we looked at, and the best under $100. 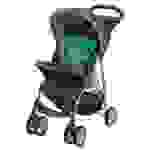 The Summer Infant 3Dlite is one of the most popular strollers on the market, and it's easy to see why: It costs around $50-60 on sale, itweigh just 12 pounds, it feels a bit nicer than most other strollers in its price range, and it has a good amount of storage. In our testing, we found that it was highly maneuverable for an umbrella model, though its plastic wheels still struggled on rough or loose terrain. 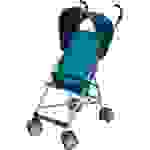 It does have a small wheel base, though, making it easy to get in and around tight corners or cramped stores where larger strollers wouldn't fit. The Graco Travelite is a new contender in the lightweight/umbrella space, and it's a very good alternative to the Summer Infant 3Dlite. Design-wise, it's very similar, with a full-size canopy, large seat that works for children up to 50 lbs, and a small under-seat storage bin. Folding the Travelite is quick and easy once you get the hang of it, but it does require two hands and some practice. 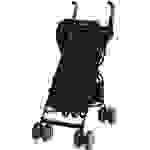 Once you release the horizontal bar that keeps the stroller frame rigid, the stroller snaps shut in a hurry. When folded it's a long, skinny shape that's about the same size as the 3Dlite. Ultimately, it's a good stroller but if you're going to spend upwards of $70 we think the Kolcraft Cloud Plus is a better pick. And, if you want an umbrella shape, the 3Dlite is just about as good. The 3Dlite appears to be more consistently on sale (often around $50), but if this were to drop into that range we'd be just as keen on it. 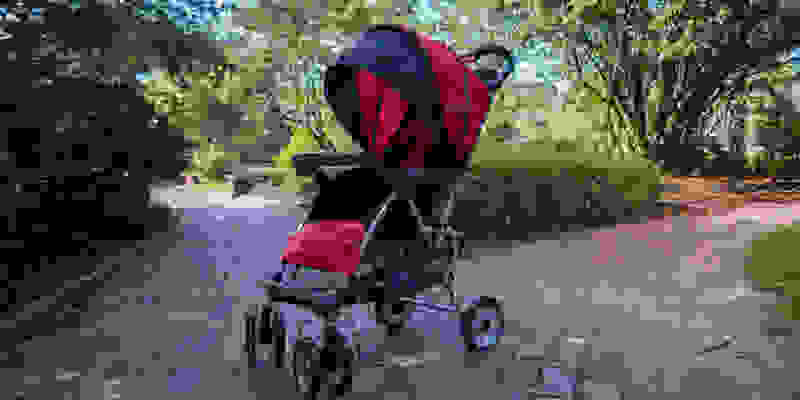 The Baby Trend Rocket Stroller comes very highly recommended online, with very positive customer reviews overall—especially given the stroller is usually just $50 or less on sale. That said, in our tests it just didn't live up to expectations. The main issue is the canopy, which was wobbly, difficult to attach, and wouldn't stay in place. If you can get past that, the Rocket isn't a bad lightweight model. It's a bit trickier to assemble than others we tested, but it wasn't bad overall. It has an easily accessible storage basket, a tight turning radius, but—stop me if you've heard this before—its small wheels struggled to get over obstacles. The main issue here is just the canopy. You're going to want it on sunny days, and we just have zero confidence this one is going to hold up and we don't have those concerns about the others we tested. The Graco Literider is very popular online, but it's a stroller that is much better on paper than in the real world. The appeal is obvious: it's a sub-$100 stroller that has a full-size canopy, large wheels, a reclining seat, a child's tray, cup holders for the parents, and it even accepts Graco ClickConnect infant car seats. 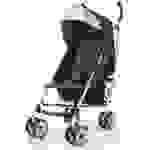 You simply don't find that in strollers this affordable. The fit and finish wasn't what I hoped for, but you can't argue with the value. We've even seen it available as a travel system—which includes an infant car seat and the stroller—for around $100. It has some annoying issues, but if you're on a tight budget it's worth putting up with. The J is for Jeep North Star wasn't our favorite lightweight stroller, but it was comfortably in the middle of the pack with simple assembly, an inoffensive design, and a sturdy frame for a lightweight model. It folds down neatly into a true umbrella shape, and it weighs just 10 lbs, making it one of the lightest that we tested. It's also one of the most affordable, frequently dropping below $40 online. Despite this, it comes with a couple of extras, like an included cup holder (which is deep, if a bit wobbly) and a carrying bag that can hang off the back for extra storage. You'll need it because the under-seat basket may hold a blanket and a few toys—but that's it. In our testing, we found the stroller does fold down to be quite compact, though it's a bit tricky to fold and the small wheels—while aiding portability—had trouble with obstacles. It falls a bit behind our top picks because the harness doesn't go over the shoulders and the seat doesn't recline, so younger children may not be as comfortable as with our top picks. It also only comes with a 90-day warranty, which is skimpier than the competition. But if you're looking at the Cosco and want something that offers just a bit more without stepping up to the more expensive models, this reliably splits the difference.